What can I say about Mike & Mary Kate? Well... they are both extremely kind and so so easy to talk to. 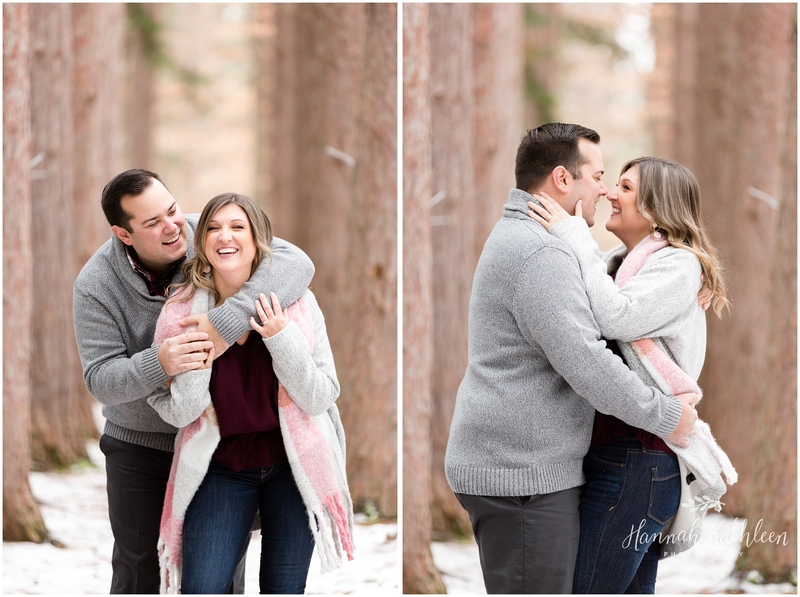 I didn't meet Mike until the morning of our session and by the end of it, I felt like I had known them both for years! Such easy, wonderful, kind-hearted people! 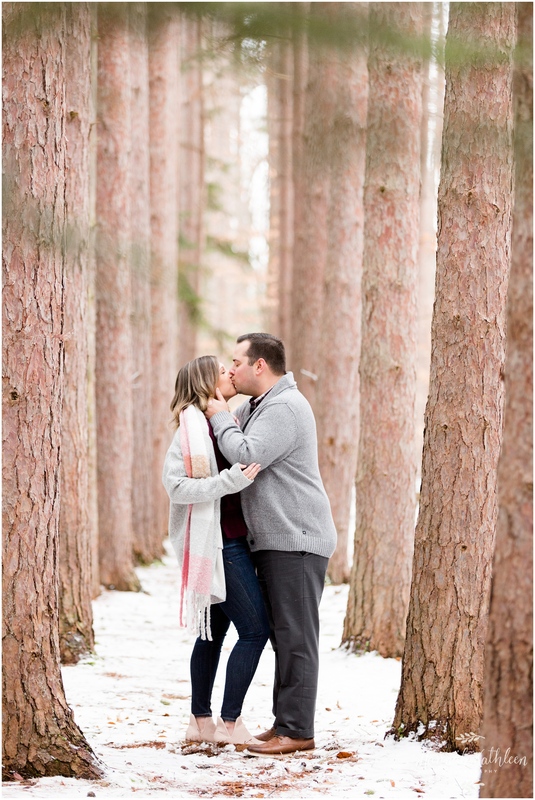 And I am so honored that they chose me to take their wedding photos!! Yay! For those of you needing advice on what to wear in the colder months, I'm just gonna forward your questions to Mary Kate ;) Didn't she do amazing!? I LOVE this look! 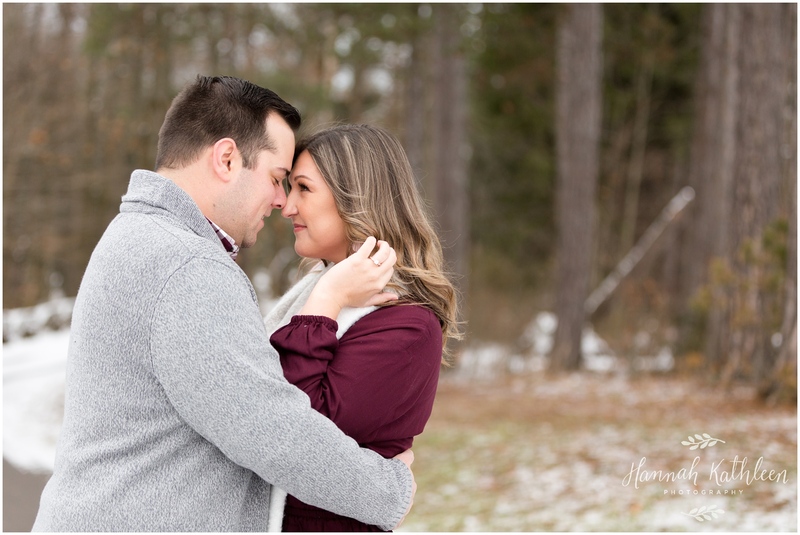 Thank you for stopping by to see Mike & Mary Kate's pictures! 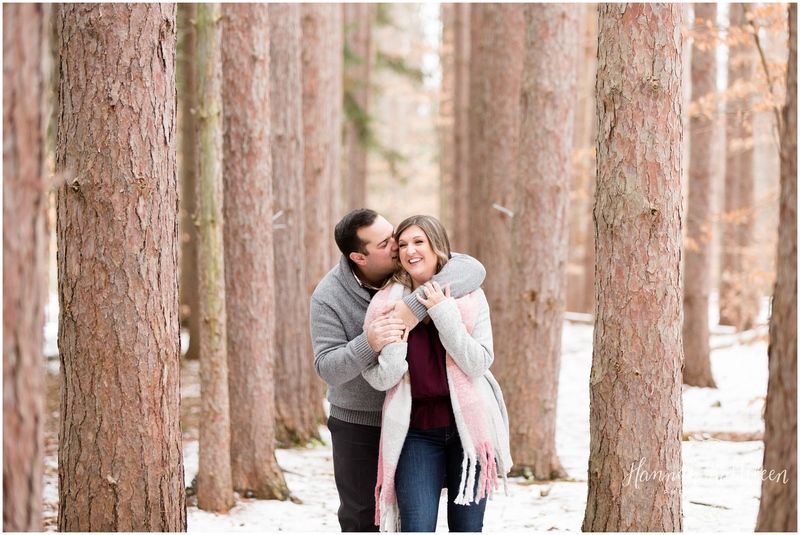 I hope you enjoy their Chestnut Ridge engagement session! 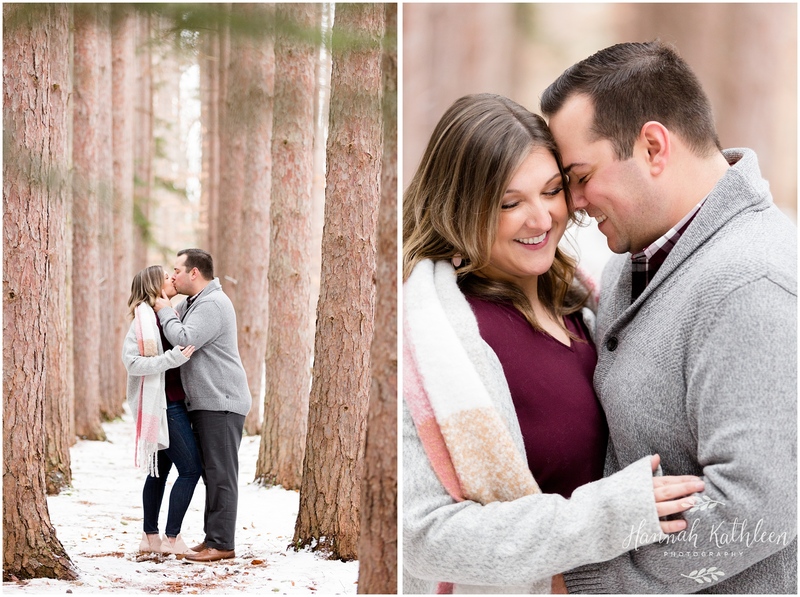 I can't wait to photograph their wedding later this year! 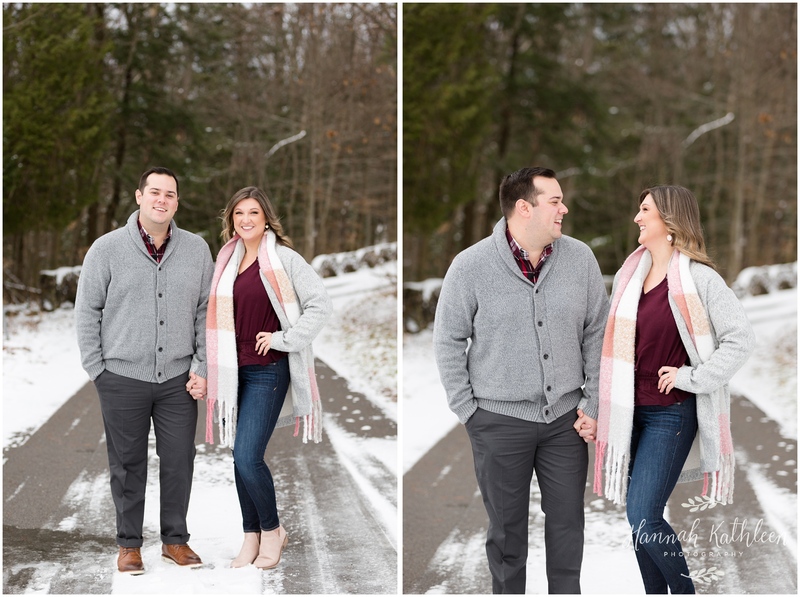 If their engagement session was this fun... 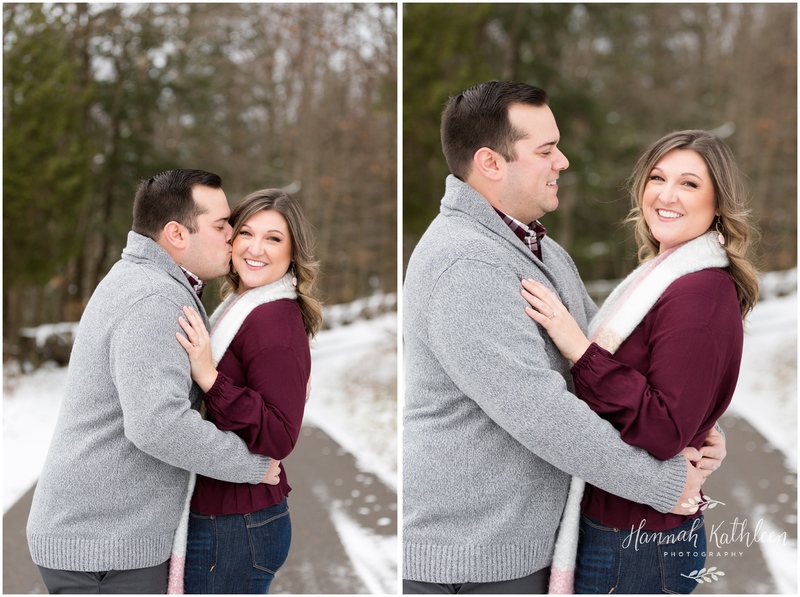 I can only imagine how great the wedding will be! 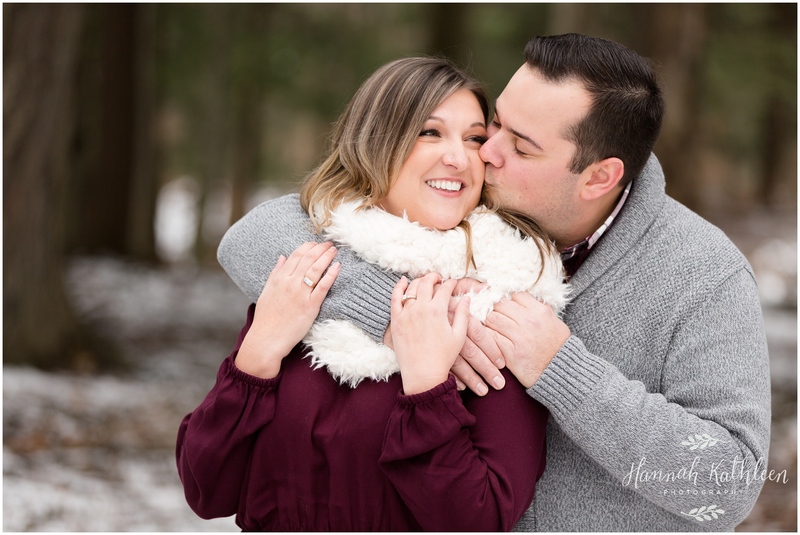 Congratulations Mike & Mary Kate!! 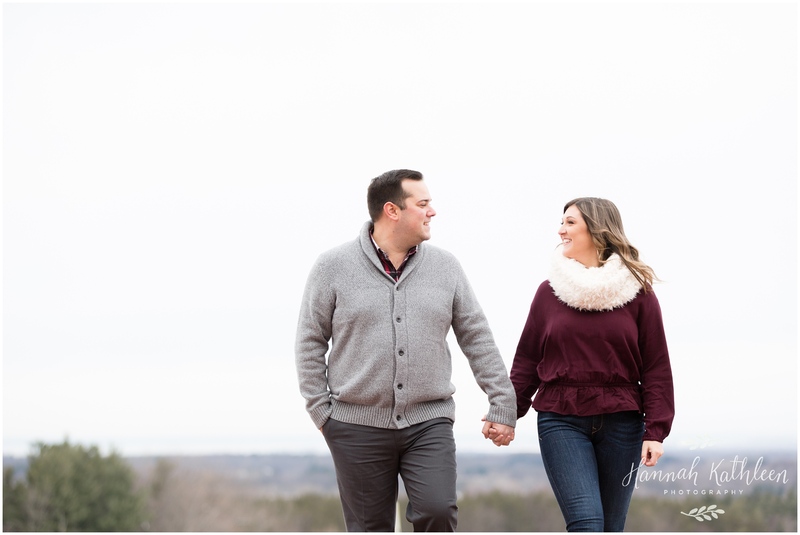 If you or a friend are in need of updated photos, let me know! I'll be in the Orlando / Disney World area available for photos from Jan 20th - March 1st! (That's right! Over a month! 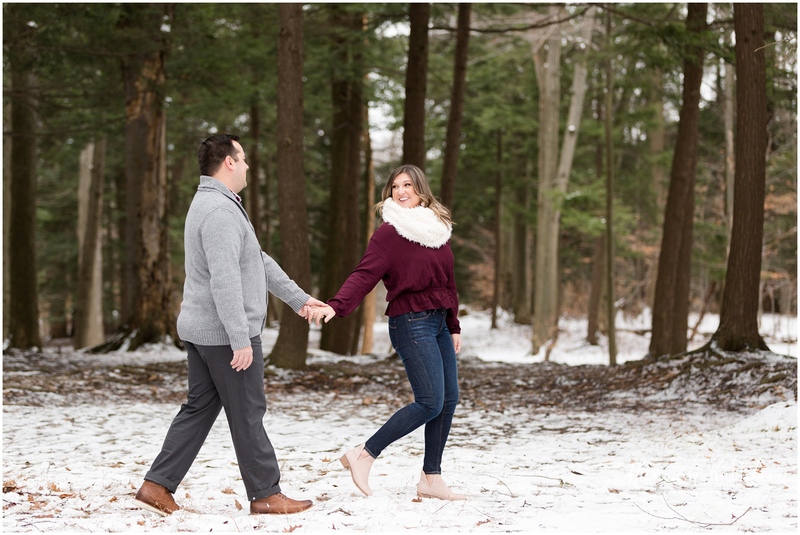 Just call us "snowbirds") I'll be back in Buffalo, New York ready for end of winter sessions in mid March. 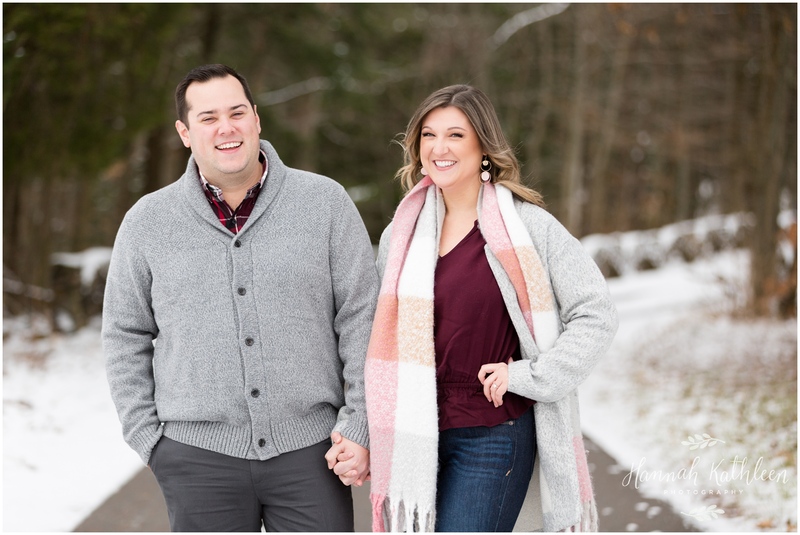 Did someone say Botanical Gardens mini sessions? 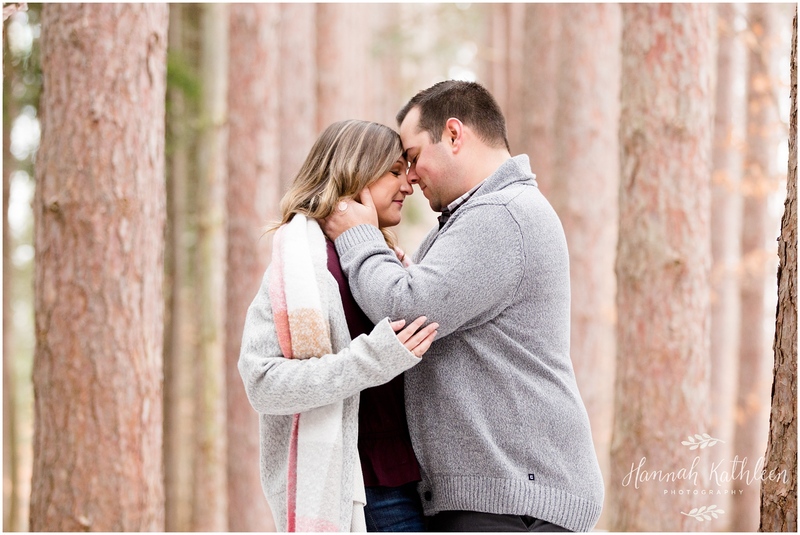 Before you know it, cherry blossom sessions will be happening at the beginning of May, so reach out if you want to be added to that list. 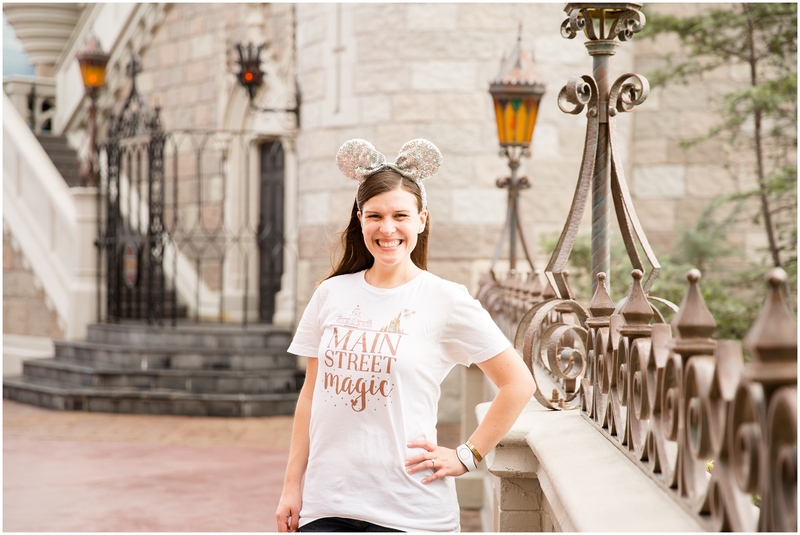 As always, I go to Disney when you bring me to Disney, let's chat about timing for your next session! And if you happen to know anyone getting married in a Disney park (ANY Disney park! ), send them to me! 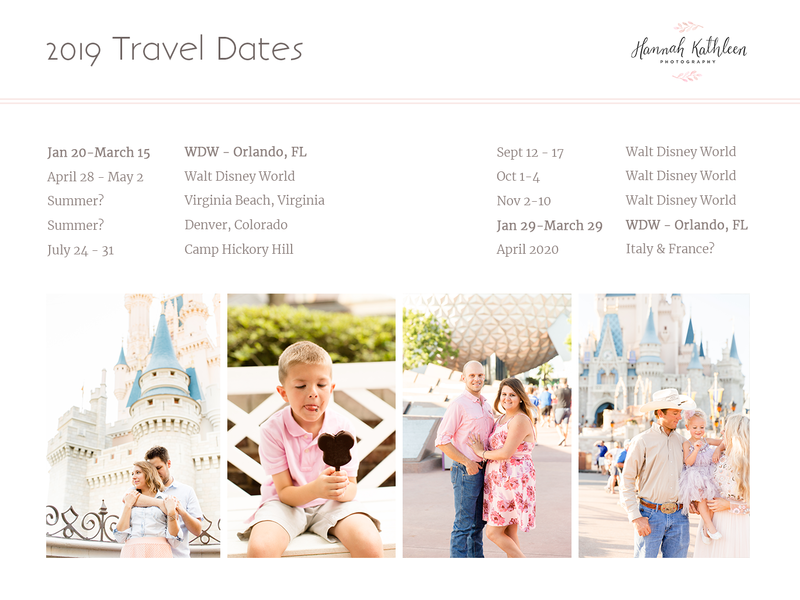 I am looking to give away a fantastic deal on wedding photography for one Disney park wedding!